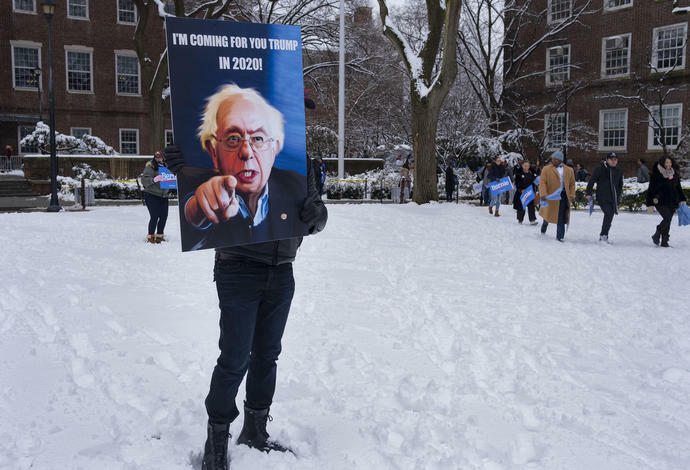 NEW YORK (AP) - Bernie Sanders kicked off his presidential campaign Saturday miles from the rent-controlled apartment where he grew up in Brooklyn and forcefully made the case that he is nothing like fellow New Yorker Donald Trump, proclaiming himself the Democrat best prepared to beat the incumbent in 2020. "The way I see it, I got plenty to talk about as it is - about the structural change we need in this country and laying out how we can do this. This is hopeful. People come and they hear what's broken, that we can fix it and that we do it together."